Recently, Strava, a popular website and mobile app dedicated to tracking athletic activity (cycling and running), began offering a data service called Strava Metro, designed to help transportation researchers and urban planners to improve infrastructure for cyclists and pedestrians. Strava Metro data has the potential to promote studies of cycling and health by indicating where commuting and non-commuting cycling activities are at a large spatial scale (street level and intersection level). 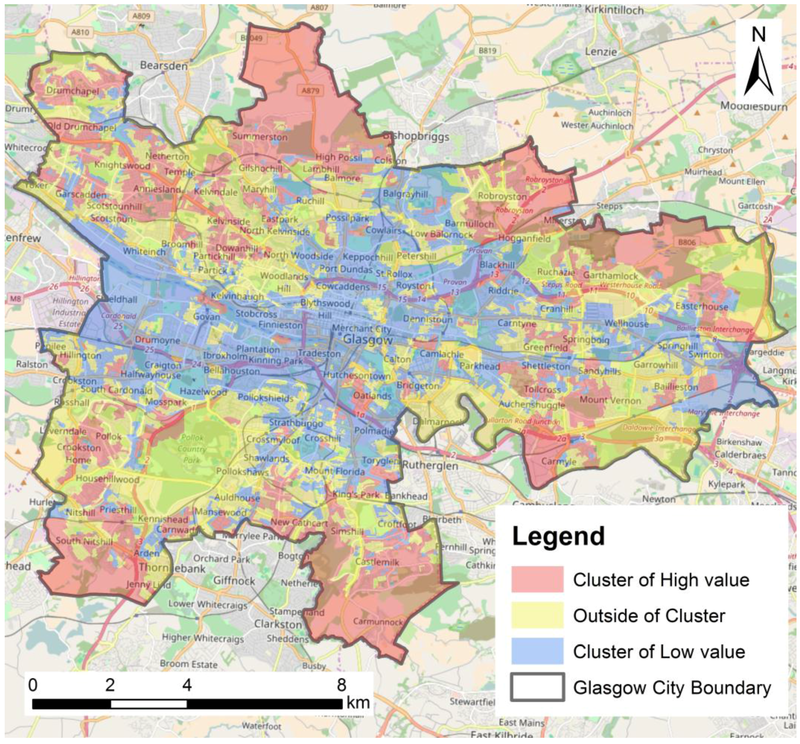 The assessment of spatially varying effects of air pollution during active travel (cycling or walking) might benefit from Strava Metro data, as a variation in air pollution levels within a city would be expected. In order to explore the potential of Strava Metro data in research of active travel and health, we investigated spatial patterns of non-commuting cycling activities and associations between cycling purpose (commuting and non-commuting) and air pollution exposure at a large scale. 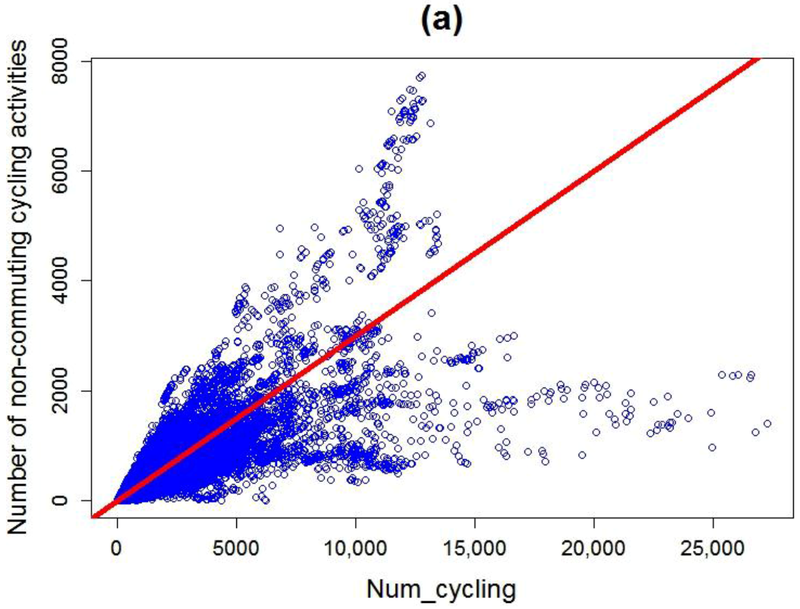 Additionally, we estimated the number of non-commuting cycling trips according to environmental characteristics that may help identify cycling behavior. Researchers who are undertaking studies relating to cycling purpose could benefit from this approach in their use of cycling trip data sets that lack trip purpose. We used the Strava Metro Nodes data from Glasgow, United Kingdom in an empirical study. Empirical results reveal some findings that (1) when compared with commuting cycling activities, non-commuting cycling activities are more likely to be located in outskirts of the city; (2) spatially speaking, cyclists riding for recreation and other purposes are more likely to be exposed to relatively low levels of air pollution than cyclists riding for commuting; and (3) the method for estimating the number of non-commuting cycling activities works well in this study. The results highlight: (1) a need for policymakers to consider how to improve cycling infrastructure and road safety in outskirts of cities; and (2) a possible way of estimating the number of non-commuting cycling activities when the trip purpose of cycling data is unknown. Sun, Y., & Mobasheri, A. (2017). Utilizing Crowdsourced Data for Studies of Cycling and Air Pollution Exposure: A Case Study Using Strava Data. International Journal of Environmental Research and Public Health, 14(3), 274.